BRYAN EATON/Staff photo. 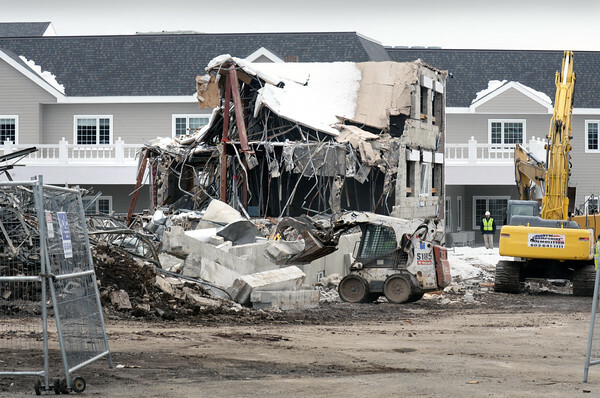 The demolition of the the old Port Healthcare Center on Hale Street in Newburyport is almost complete in front of the new facility which opened at the end of last year. The space will become parking for employees and visitors to the residents there.